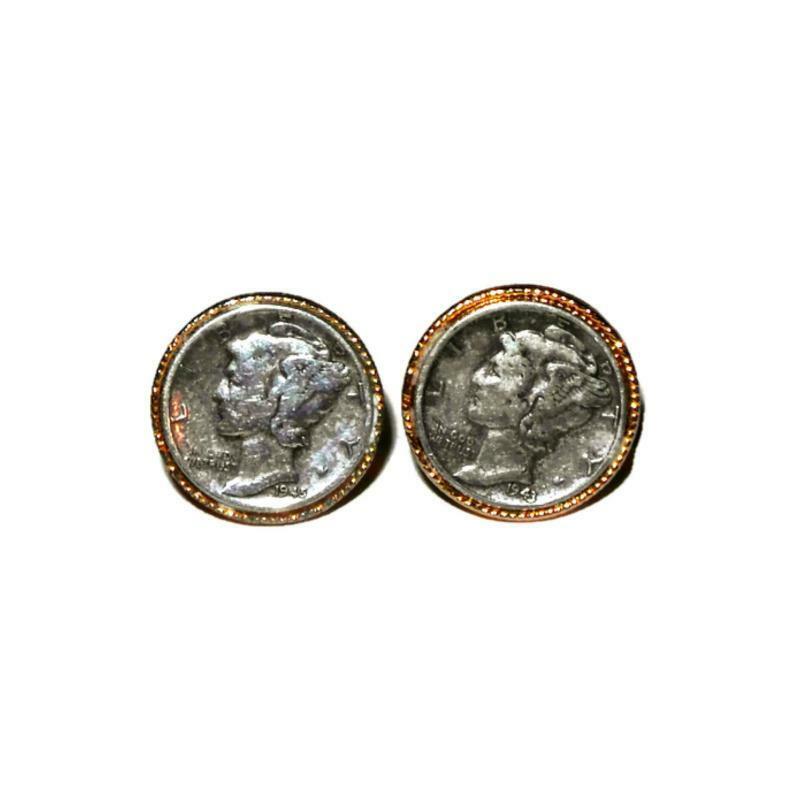 Pair of Mercury Dime Cufflinks. 1943 & 1945 Dates. Used but good condition.